What Are Filbert Nuts In Culinary Arts? 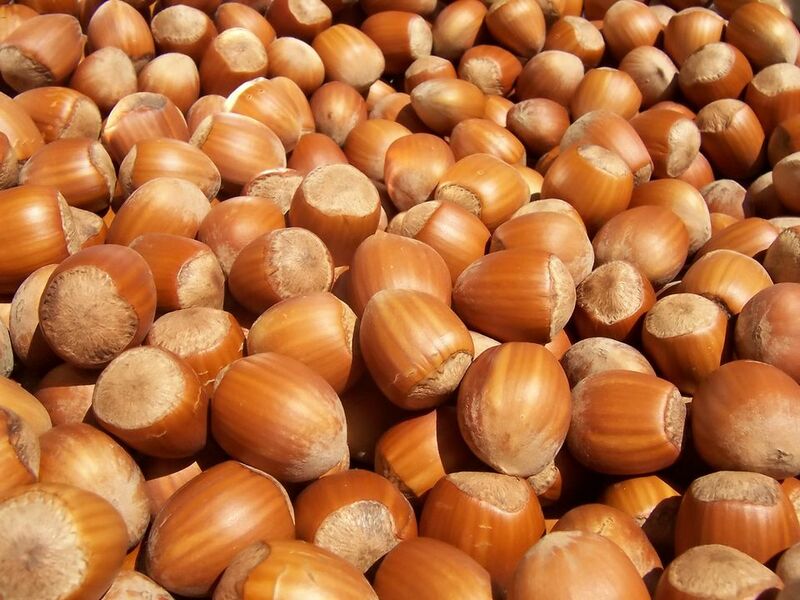 A filbert is a type of tree nut similar to hazelnuts. In practice, people—espcially Europeas—use filbert interchangeably with the word hazelnut, although technically they each grow on different (though closely related) species of trees. Furthermore, some types of hazelnuts are actually hybrids of hazelnuts and filberts. In the United States, filberts often are called cobnuts.but whatever you call them, they are a versatile nut used in desserts and baking, in candy, for making liqueurs or for flavoring coffee and other beverages. Filberts are also used in savory dishes, and they pair well with lamb, for instance. About one cup of filberts, the equivalent of 135 grams, contain 126 percent of the fat you need in a 2,000 calorie diet. They are high in dietary fiber, providing 52 percent of the daily requirement, and also provide 20 grams of protein, 40 percent of the ADR. .No matter what recipe you have in front of you, you need to shell and skin your filberts. Use your nutcracker to break the hard outer shell and lay the meat of the nut in a single row on a baking sheet. Roast the nuts for about 15 minutes in a 300 F oven. While the filberts are still warm, rub them hard with a slightly damp dishtowel. Don't worry if some skins remain; they won't kill you. After you've cracked the filberts' shells, you can also remove the husk by blanching your nuts. To blanch, add baking soda to boiling water, add your filberts, boil for about 3 to 4 minutes. Test the filberts by running one under cold water and gently rubbing it. If the skin doesn't slip off eas8ily, boil for another 10 seconds or so. Strain the nuts in a colander, then rinse if cold water or an ice-water bath. Dry your filberts thoroughly so they don't mold. You can freeze filberts in an airtight bag for up to two years. Just pull out what you need for your favorite recipe and let them reach room temperature before using. Unshelled nuts last even longer. Or you can store them in an air-tight bag or jar in the refrigerator, away from other foods, for up to a year. Ground filberts are a welcome addition to cookie and cake batters and as a filling for nut bars for example. Use diced or minced filberts as a swap for pine nuts in a pesto sauce or similar dishes. Experiment with chopped filberts as a topping for your favorite vegetables, including asparagus and green beans. While it's a whole lot more expensive than conventional flour, you can purchase hazelnut flour from high-end groceries and online, and use it for baking.